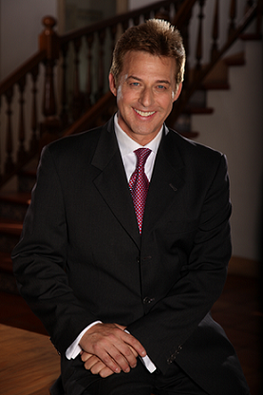 The Hecker Law Group is one of the nation's leading intellectual property law firm boutiques. The firm has represented many of the world's most respected companies and cutting-edge innovators in obtaining, enforcing, and defending their intellectual property rights. Founded in 1988, The Hecker Law Group is recognized for its acumen in complex technology, its highly effective litigation team and its C-suite strategic client counseling. The firm's attorneys include engineers and computer scientists with hands-on industry experience and strong technical backgrounds. The firm has extensive experience in obtaining, enforcing, and litigating patents, trademarks, copyrights, trade secrets, rights of publicity, antitrust, Internet and entertainment law rights, and other intellectual property rights. The firm's practice also includes intellectual property transactions including licensing, branding, technology transfer, design, development and joint venture agreements, and matters relating to The Digital Millennium Copyright Act (DMCA) and Digital Rights Management (DRM). The Hecker Law Group's legal expertise includes obtaining, analyzing, and litigating patents in hundreds of technologies including electronics; computer hardware and software; computer graphics and animation; virtual reality; artificial intelligence; semiconductors; networking; medical and biological sciences; physics; plant variety protection; mechanical devices and systems; encryption; digital signal processing; search engines; acoustics and optics; human interfaces; operating systems; and many others. The Hecker Law Group also develops and implements comprehensive intellectual property programs for creating and exploiting the patent, trademark, and copyright portfolios of its clients.